Product prices and availability are accurate as of 2019-04-22 12:41:10 UTC and are subject to change. Any price and availability information displayed on http://www.amazon.com/ at the time of purchase will apply to the purchase of this product. This Certified Refurbished product is tested and certified by the manufacturer or by a third-party refurbisher to look and work like new,with limited to no signs of wear.The refurbishing process includes functionality testing,inspection,reconditioning and repackaging.The product ships with all relevant accessories,a minimum 90-day warranty,and may arrive in a generic white or brown box.Only select sellers who maintain a high performance bar may offer Certified Refurbished products on Amazon. 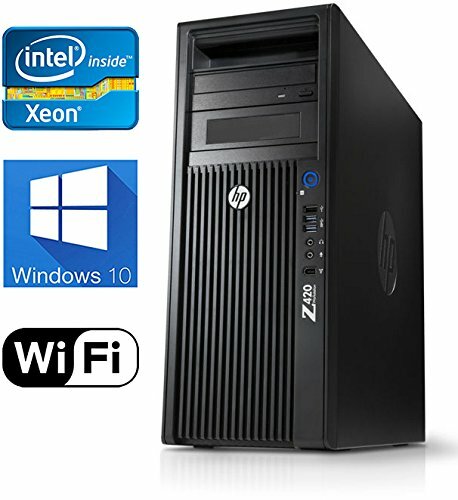 1 Year Warranty on Computer with Tech Support. 240GB SSD with 3 Year Warranty from Manufacturer. 1TB Seagate Hard Drive with 3 Year Warranty from Manufacturer. What's in The Box? HP Z420 Workstation with Power Cable,New USB Keyboard & Mouse. 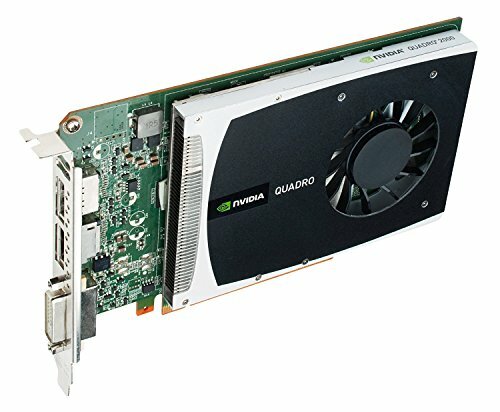 Video Card: NVIDIA Quadro 2000 by PNY 1GB GDDR5 PCI Express Gen 2 x16 DVI-I DL and Dual DisplayPort OpenGL, Direct X, CUDA and OpenCL Profesional Graphics Board, VCQ2000-PB Software Installed - New Installation of Windows 10 Pro 64-Bit Operating System.